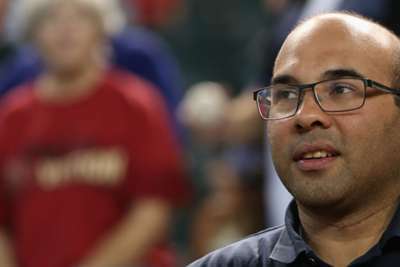 The San Francisco Giants hired former Los Angeles Dodgers general manager Farhan Zaidi as the team's new president of baseball operations. Zaidi was named the Dodgers' general manager in 2014 and Los Angeles made back-to-back World Series in 2017 and 2018. "I am delighted to return to the Bay Area and to join one of the most storied franchises in the game," Zaidi said in a statement. "I have watched the Giants from afar and I have great respect for the organisation's culture and accomplishments. I am excited about this new opportunity and I'm looking forward to getting right to work." San Francisco head of baseball operations Brian Sabean took a step back after the season. The Giants also fired general manager Bobby Evans in September after the team went a disappointing 73-89 following an offseason where it traded for All-Stars Evan Longoria and Andrew McCutchen. Sabean remains with the team but his role is yet to be determined.